The date is October 26th, 1979 – the day of ‘strongman’ Park Chung-hee’s assassination. Following almost 18 years of brutal military rule and with a growing call for democracy by Korean citizens, Park, and those in his regime, are concerned. A dinner event is arranged in the Blue House for select chief members of staff including KCIA Director Kim Jae-kyu (Baek Yoon-Sik (백윤식). As alcohol flows and Japanese songs are sung, the talk of politics and conflict infuriates Jae-gyu. Briefly excusing himself from the event, Director Kim confers with Chief Agent Ju (Han Seok-gyu (한석규) and decide that tonight will be Park Chung-hee’s last. With a select group of KCIA agents at the ready, the stage is set for the assassination that will change the course of Korea forever. The President’s Last Bang is a brilliantly biting and incredibly funny political satire by director Im Sang-soo (임상수), who takes one of the darkest and most controversial periods of recent Korean history and crafts a highly provocative and compelling exploration of the assassination. 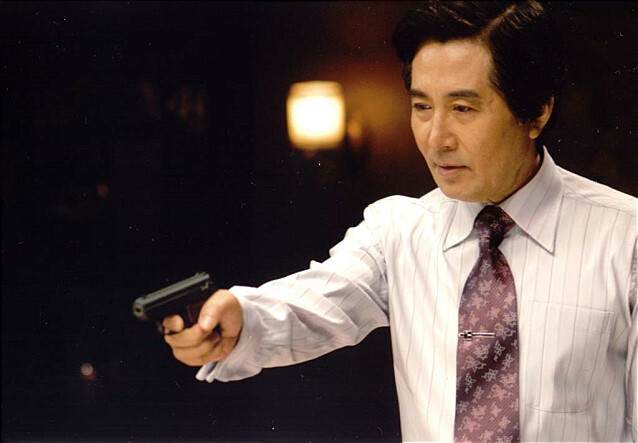 To this day Park Chung-hee remains a very divisive figure in Korean politics, and the film immediately generated a deluge of controversy upon release in 2005. 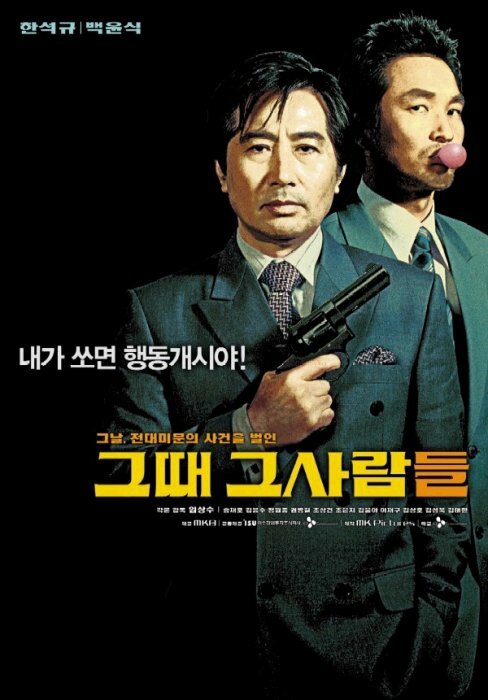 Park Ji-man, the former leader’s son, ordered a law suit against the film that resulted in the removal of nearly 4 minutes of screen time, and was released nationally and internationally in this manner. The scenes featured real documentary footage of democracy protests and Park’s funeral which bookended the film, providing context for the events depicted. Their removal (and replacement with a blank black screen in protest) ultimately generate a less effective viewing experience. However the court’s decision was overturned in 2006 on the grounds of the rights to freedom of expression, although the production company was still ultimately punished for defamation against the late authoritarian ruler. While the verdict was a victory against censorship, the case also pointed to Park’s enduring legacy within the Korean political system through the power and influence wielded by his children – including his daughter, current President Park Geun-hye – an irony that was not lost on many political commentators. Much of the controversy centres around the representation of the authoritarian ruler as a Japan-loving, democracy-hating, womanising, cowardly old man. Director Im Sang-soo solidified his reputation through exploring issues of amorality within the upper echelons of society, and with The President’s Last Bang he is absolutely superb in articulating such concerns through representing the corruption associated with the Park Chung-hee administration. Through scenes depicting Park’s late night partying and penchant for young girls, his love of Japanese culture to the point of employing the language and songs (a real issue for many Koreans following years of Japanese occupation), and the startling justification of his regime through comparisons with Cambodia, Park is constructed as a reprehensible wretch and a fool. As such his assassination is represented as well-deserved, yet through the inclusion of satire it is also darkly hilarious. Taking a cue from the multitude of conflicting statements regarding Kim Jae-gyu’s motivations and the event itself, the film effectively employs dark comedy to make scenes of death and mayhem incredibly funny. There is conflicting evidence to suggest Kim’s plan was either planned or spontaneous, which the film wonderfully spins into a comical farce as the members of the KCIA fumble and blunder their way through the assassination, as well as in their later attempts to conceal the truth. Actor Baek Yoon-Sik shines throughout such sequences as the KCIA director Kim Jae-gyu due to his deadpan expressions and comic timing, with events escalating so quickly beyond control that his transitions between agitation, stoicism and laissez-faire attitude frequently induce laughter. 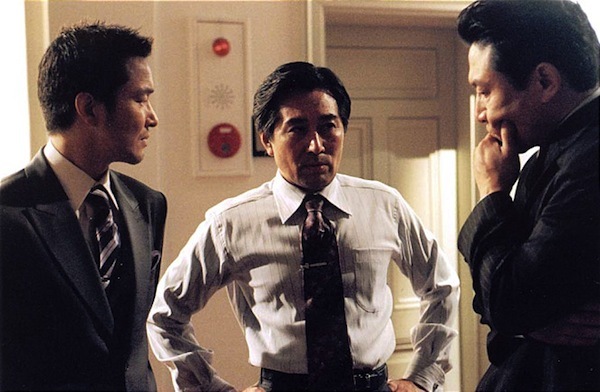 Yet while the first half of the film is fuelled with energy, suspense and comedy as the impending assassination draws near, the film loses much of its zeal following Park’s death. The narrative shifts gear in bleaker territory as it accommodates the political ramifications of the event, while the subdued tone is also undoubtedly derived from audience awareness of what follows the investigation, though it’s to director Im’s credit that he still manages to effectively mine comedy from the fraught situation. The combination of real-life controversy and dark humour is not easy to amalgamate yet The President’s Last Bang succeeds superbly and makes for highly compelling viewing. The President’s Last Bang is a brilliantly dark, highly controversial political satire depicting the assassination of military ‘strongman’ Park Chung-hee. Director Im Sang-soo is incredibly insightful and witty as he explores the amorality and corruption of Park and his administration, superbly employing laughter-inducing dark humour as events transpire. While the film loses some of its impetus in the second half, director Im has crafted a highly provocative and compelling exploration of one of the darkest periods in recent Korean history. must watch that film if available online.